It is that time of year again–time when the weather gets cold. Sometimes it is hard to get motivated to keep the house clean because of the chill in the home. Don’t let your home lose it’s flavor. 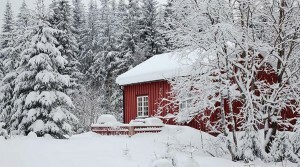 Keep your home looking nice during the weather. If you are burning your fireplace, be sure and keep the soot off the logs. Brush the soot off the logs so that the smoke won’t come out into your home. Since the house is closed in the winter, pour vinegar and water down the sink to keep the odor down. Mildew is down in the garbage disposal and vinegar eats the mildew out. Put a slice of bread and wet the bread with vinegar. Put it down in your trash can and the next morning the smell is gone. If you want your home to smell good, you can clean with Fabulousa ( a product you can purchase at HEB) and your home will have that nice spring smell throughout. If you don’t like the smell of fragrance, then we at Joyce Darden’s Cleaning Services, clean with a special combination of products and it gets rid of dust, odors, and makes your home have that fresh and clean. if you want your personal quote for cleaning your home.